He is a dynamic, innovative leader in the high performance tennis community. After playing #1 for Cornell University and training and competing for several years on the professional tennis tour, Chris found his passion and calling as a developmental coach shaping the games of gifted junior players, serious adults, and other students willing to commit seriously to the study of tennis. Chris Lewit is known for his unique qualities that make him highly sought after as a coach, not only for his unparalleled knowledge of the technical/tactical game, but for his forceful intellect; rigorous academic mind; demanding, physical teaching style; and ability to motivate and inspire a diverse group of students. 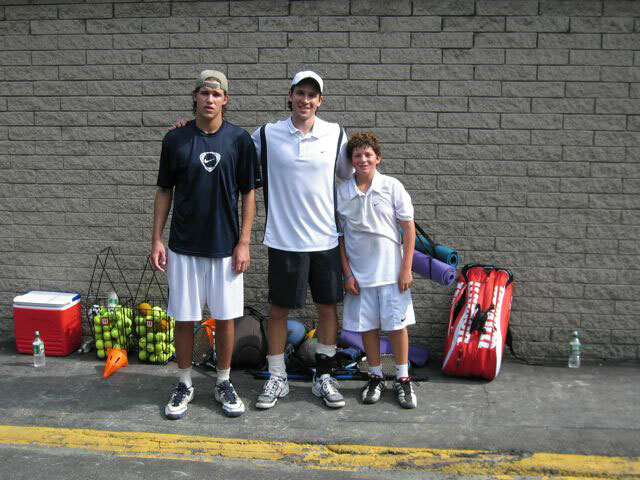 Chris has developed many top national junior players--many who are now competing on the pro circuit--and he has extensive experience building the foundations of prodigies, especially at very young ages. If players sometimes mention how tough Chris is to train with, it is not surprising to learn that he comes from a long line of military family members, including several Generals in the Air Force and Army, and his grandfather, a two-star Air Force General. Chris has the rare ability to push his students hard physically but also connect emotionally with his protégés and motivate them to achieve their highest levels of performance both on and off the court. Although he is a full-time dedicated coach, Chris is proud to still maintain top athletic condition and a high level as a player (13 UTR), and he still competes on the ITF Transition Tour, when his schedule allows. This allows him to spar and hit with his players--not just feed balls. 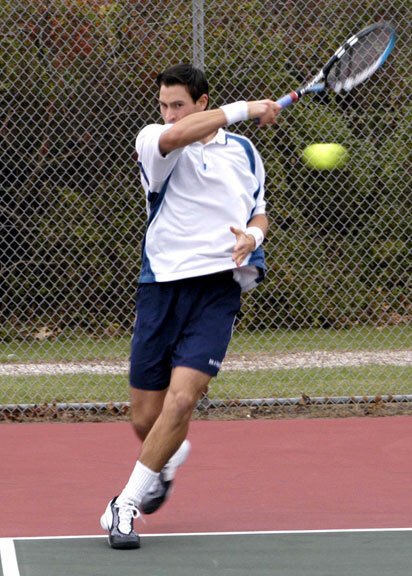 In addition to maintaining a high tennis playing level, Chris is also an avid student of Mixed Martial Arts, and is particularly fond of Boxing and Brazilian Jiu-Jitsu. Chris believes that competitive tennis players need to develop a fighting spirit and can benefit from the discipline and toughness learned in the boxing ring and on the martial arts mat. He tries to convey the lessons he has learned as a fighter to his students. Chris is one of the leading experts in the world on Spanish methods of training, having studied for the last 12 years in Spain with many of the legends of Spanish coaching and having written the best-selling book, The Secrets of Spanish Tennis, in 2014. Chris is also a leading expert on technical development, especially for young players, having published the definitive, most comprehensive study of tennis technique currently available, The Tennis Technique Bible (2009), and numerous articles for the world-renowned technical tennis magazine, Tennisplayer.net. A prolific writer and educator, he has been extensively published and is a sought-after presenter at national and international tennis conventions. He authors the acclaimed online resource ProdigyMaker.com for parents, coaches, and players. As an educator, Chris is passionate about helping adults, juniors, parents, and coaches become smarter and more efficient in their training. He holds high performance workshops and camps year-round at his club in Vermont. He also offers a celebrated digital tennis school, CLTA Online, with cutting edge courses that can be accessed at anytime--from anywhere in the world. A family oriented father of three kids, Chris understands the ups and downs of childhood and he treats every player like part of his family. Chris believes in building strong values and character in his players, not only to be better tennis players, but to be better citizens in the world. He believes it is a privilege as a teacher or coach to be in a position to help shape the lives of his students. Chris wants to develop a champion person, not just a champion tennis player. For Chris, a coach must lead by example and be a role model--both on and off the court. Chris Lewit students fight to win, but Chris expects them to always win with integrity, honor, and sportsmanship. While tennis is his life's passion, Chris is active in EMS and volunteers as a licensed EMT for Hoboken Volunteer Ambulance Corps--and he is studying to be a Paramedic. He finds great joy in serving his community as a first responder. He is also a dedicated national spelling bee coach to his daughter Sky, and cross-country coach to his son Isaiah. SecretsofSpanishTennis.com and TennisTechniqueBible.com to learn more about Chris Lewit's method and philosophy. EXPERIENCE COUNTS--SEE CLTA PLAYER LIST!